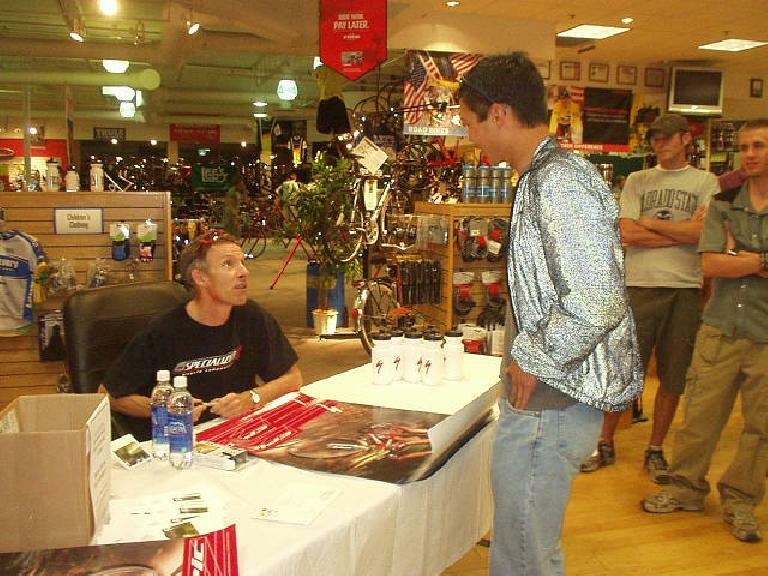 There seems to be no shortage of celebrity cyclists coming out to Fort Collins, CO. Last November there was Tom Danielson of the Discovery Team along with Trek’s chief product engineer, Mike Sagan. Today, we were honored with the appearance of legendary Ned Overend (50 years young) at Lee’s Cyclery. I had expected Deadly Nedly to be merely recounting race stories, but did not realize he is the Vice-President of Product Development for Specialized Bicycle Components. His presentation turned out to be quite technical and very informative including descriptions of many Specialized innovations. As a mechanical engineering geek, you can imagine that this absolutely thrilled me. Below are some notes about the topics this mountain biking and XTerra legend touched upon. Their shoes feature a Varus wedge that angles the forefoot to match its natural canted position. Supposedly, this helps eliminated “knee dive” and knee pain. There are nerves in the metatarsals of the foot. Cyclists sometime experience pain under the ball of the foot due to pressure on these nerves. Some Specialized shoes feature a hump on the footbed to help separate the metatarsals and eliminate this pain. Ned has used full suspension exclusively since 1996. 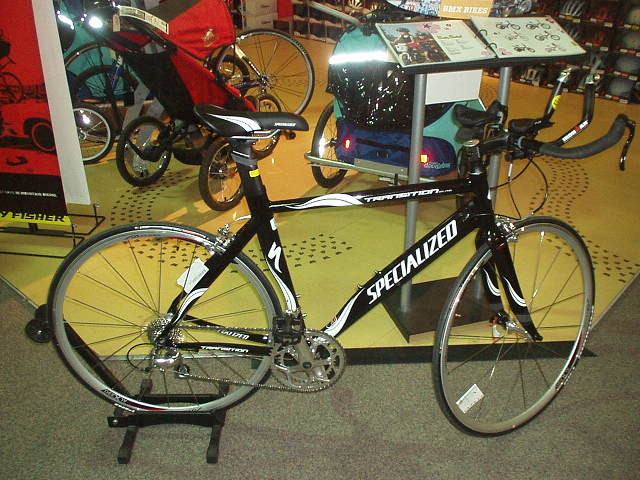 Specialized’s patented 4-bar suspension keeps the distance between the rear hub and the bottom bracket the same even as the suspension is flexed. 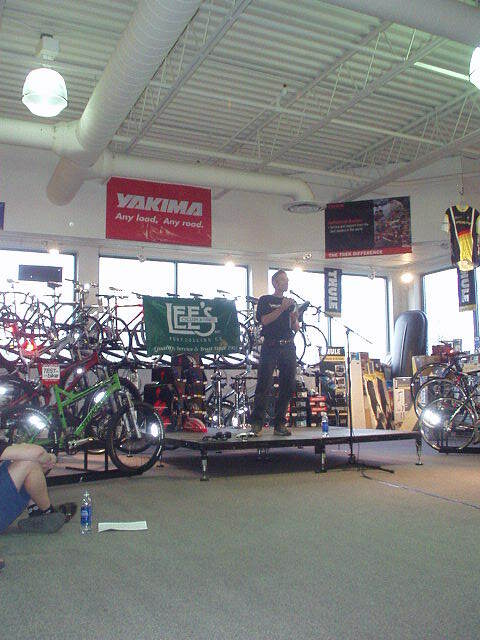 Ned said that a well-designed full-suspension bicycle is faster than a hardtail since it helps the wheels glide over bumps (which not only make the rider bounce upwards, but bounce back). Ned does not adjust or lock out the rear suspension when riding (one reason is because “I can’t multitask,” he says.) He does adjust the suspension—both the front fork and the rear—before a race according to how rugged the course is, and he advocates everyone to experiment with suspension settings. 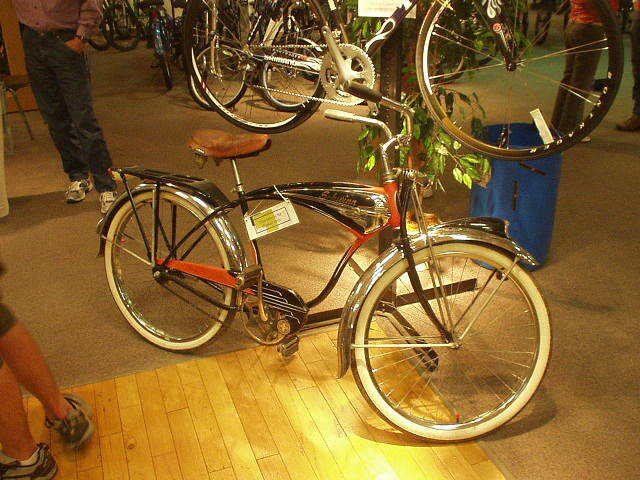 Some Specialized bikes utilize “Brain Technology” which feature an inertial valve. When this valve senses a bump is hit, the valve opens and allows the suspension to react to the bump. Rider weight does not affect the inertial valve. Presumably, Brain Technology keeps pedaling-induced suspension bobbing to a minimum. Ned likes tubeless tires. He can ride tubeless tires at pressures 8 psi lower than with tubed tires due to no chance of pinch flats. Tubeless tires can have shorter knobs than with tubeless because of the lower pressures required. This saves weight. Ned generally runs about 38-42 psi for the rear and 35-38 psi for the front. This is a bit more than some of the other pros who use as low as 25 psi. Lower pressures result in great traction but more rolliing resistance. In the old days, Ned would use as much as 50 psi to prevent pinch flats, which would result in very hard riding. With tubeless tires, if one does get a puncture in the tire, one “fixes” the flat by inserting a tube. Pedaling in round strokes is important. Ned imagines scraping the bottom of his feet on the sidewalk to pull back, followed by pulling up. (I forget how he described the pulling up motion.) He doesn’t consciously think about pushing down since that naturally happens. In the off-season, Ned uses a “power crank” in which the left and right crankarms work independently of each other. This allows him to really practice pedaling in circles well. It is important to maintain momentum when training. This can mean backing off from some workouts to prevent getting sick, overuse injuries or overtraining in order to prevent even more down-time in the future. Cross-training is especially useful in maintaining core fitness while preventing overtraining. Ned likes to go nordic skiing in the winter. The older one gets, the smarter one has to be about training and training. Even though Ned is 50 this year, he still intends to be faster than last year. 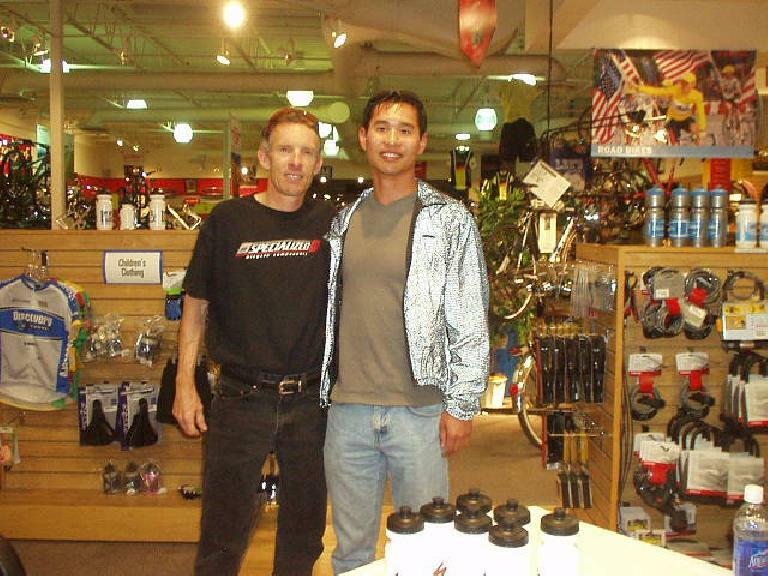 Ned still has some family in the Bay Area, and has to go to Morgan hill a few weeks of the year for meetings at Specialized. He used to be a Yamaha mechanic in San Francisco in the 80s. 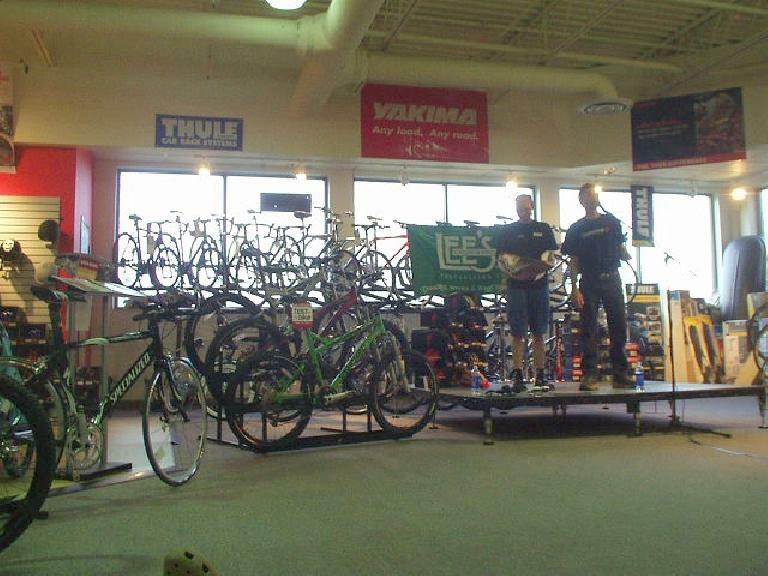 More photos from the Ned Overend Presentation are here.